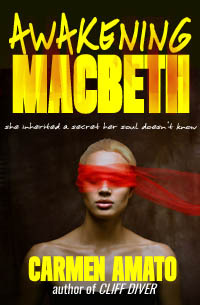 That’s the tagline on the cover of AWAKENING MACBETH, my latest romantic thriller. 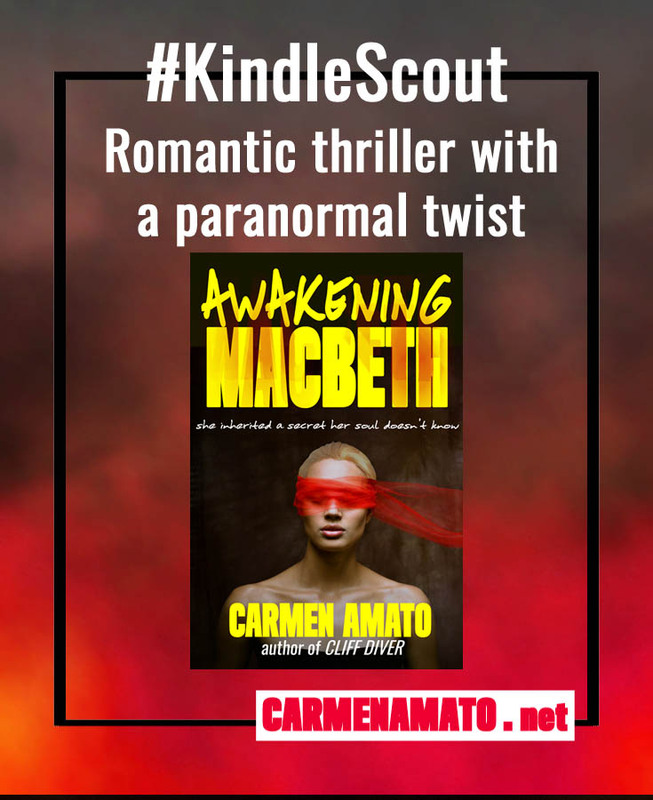 Amazon’s Kindle Scout program allows readers to nominate books they would like to see published and AWAKENING MACBETH is one of the books competing to be nominated. Readers can only nominate 3 books at a time and a book has 30 days in which to garner votes. Shattered by her father’s death, professor Brodie Macbeth has terrifying nightmares. In her sleep, people will kill for a secret Brodie doesn’t know. It’s grief, everyone says, and when Brodie meets Joe Birnam, an Iraq War vet with his own demons, she’ll finally learn to love. Yet a colleague’s shocking claim and demand for her father’s secret makes Brodie realize that the nightmares are a real and deadly game. Joe’s immortal soul is the prize. But Brodie doesn’t know how to play, let alone win. This is my first book not set in Mexico and I’m a bit nervous to see how it will be received. Regular readers of this blog will remember that the novel was excerpted here last year. Since then, I’ve amped up the story and included more sizzle between Brodie and Joe. So check out the nominating page, read the excerpt and please nominate AWAKENING MACBETH for publication with Kindle Scout. Thank you so much for walking with me on this writing journey from Mexico City to Acapulco and now to Virginia. My readers are smart, savvy people with a wealth of interests and I love connecting with you. Thanks to each and every one of you for your reviews, enthusiasm and great ideas. P.S. 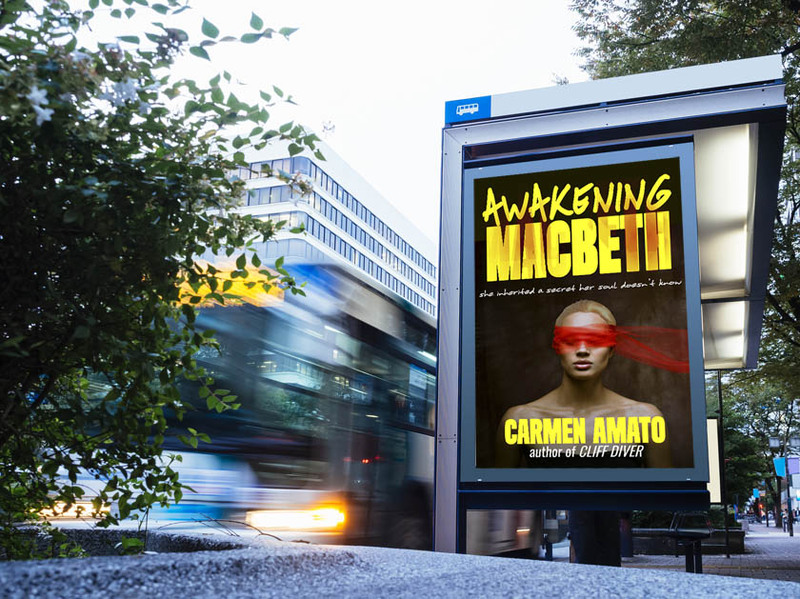 To be the first to know if AWAKENING MACBETH makes it to the Kindle Scout winner’s podium, subscribe to my newsletter.